Understanding the genetic makeup of complex chronic diseases is a significant step toward developing advanced diagnostics and better treatment options. In that vein, an international team of investigators led by scientists at the University of Manchester put together an extensive genome-wide association study (GWAS) to identify the genetic factors that predispose people to chronic kidney disease. Findings from the new study were published recently in Nature Communications through an article entitled “Molecular insights into genome-wide association studies of chronic kidney disease-defining traits.” The discovery is a major advance in the understanding of the significantly under-diagnosed disorder which, if left undetected, can lead to failing kidneys that need dialysis or kidney transplantation. The identification of 35 kidney genes is an important step forward to the future development of new diagnostic tests and treatments for the disease that affects around one in ten adults. “Chronic kidney disease is known for its strong genetic component, noted senior study investigator Maciej Tomaszewski, Ph.D., a professor at the University of Manchester. 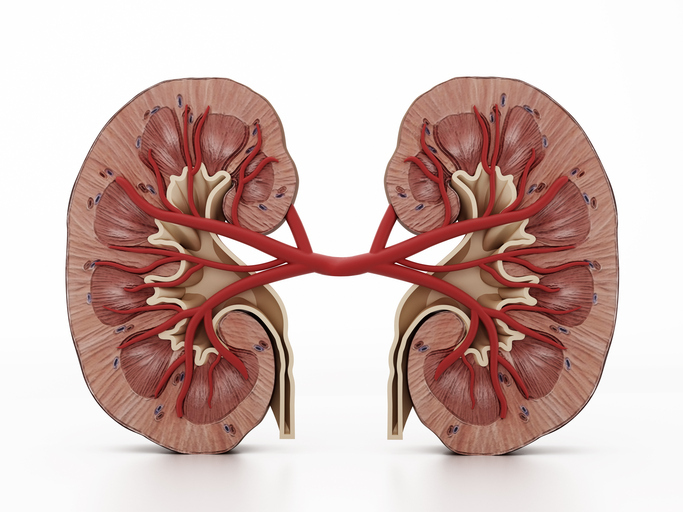 “Our limited knowledge of its exact genetic mechanisms partly explains why progress in the development of new diagnostic tests and treatments of chronic kidney disease has been so slow. I the current study, the researchers examined 280 kidney transcriptomes and 9958 gene expression profiles that were obtained from 44 non-renal tissues. From this, the team was able to uncover gene expression partners (eGenes) for 88.9% of chronic kidney disease-defining traits loci. The investigators were encouraged by their findings, but remain cautious to draw any broad conclusions yet, as there is still considerable work that remains to be done in identifying potential diagnostic or therapeutic interventions that can be derived from this data. We refer to CKD as a silent killer because it is common for it to have little or no symptoms until the consequences of the disease have taken hold. The findings of this research are hugely important as they bring us a step closer to being able to understand, diagnose earlier and prevent kidney disease,” concluded Elaine Davies. director of research operations at Kidney Research UK, who was not directly involved with the study.